Beauty myths are passed around from well-meaning friend to friend, and sometimes even passed down to the next generation. But many beauty myths aren't true, and can actually make things worse instead of better. Here are some of the top beauty myths as well as some practices that can really help you look and feel better. 1. You only need moisturizer if your skin feels dry. 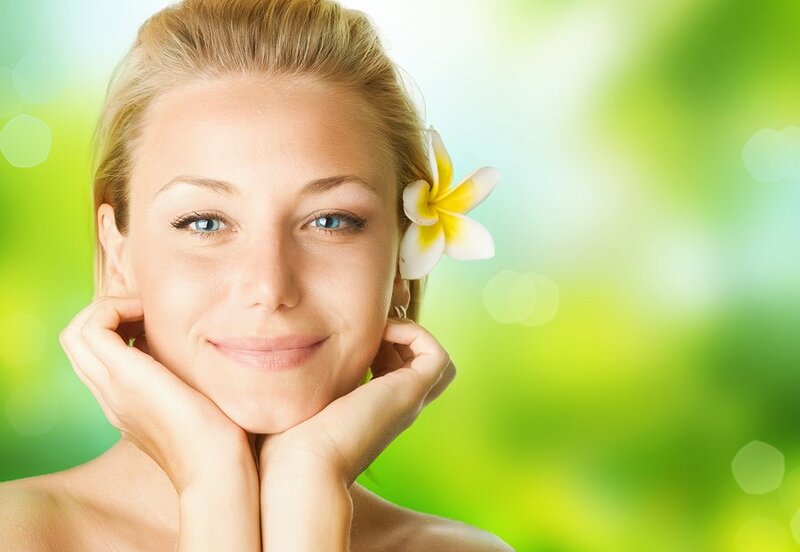 Experts advise that everyone moisturize regularly to prevent wrinkles and keep skin healthy. If a commercial moisturizing cream isn't something you want to deal with, using a light layer of virgin coconut oil can hydrate your skin simply and effectively. 2. Rubbing your eyes will give you wrinkles. A related myth is that sleeping on your side will wrinkle that side of your face more. While repeated stretching of the skin can break down collagen over a long period of time, the effects are typically minimally noticeable and are much milder than, for instance, repeated sun exposure without using sun protection. 3. It's possible to shrink your pores. Some women use toners or even egg whites in an attempt to shrink their pores, but any effect will be temporary at best. Pore size is genetic. However, for that family photo or one special night, a temporary improvement may be just what you need. 4. Shaving your hair makes it grow back thicker. This myth is disproven with careful examination. Because hair grows to a point, it seems thinner as it grows longer. When hairs are shaved, they are cut straight across, which makes them appear thicker as they first begin to regrow. This effect will diminish as hair reaches a length of an inch or two and the point reappears. Being aware of beauty myths can help you look your best. 5. You should brush your hair 100 strokes a day. It is good to brush your hair each day to distribute beneficial oils along the hair shaft, but 100 strokes a day is excessive and can cause breakage if done on a daily basis. 6. Toothpaste will get rid of pimples. It's true that toothpaste contains menthol, which can help dry out a pimple, but other ingredients in toothpaste can irritate skin. Additionally, dry skin stimulates oil production, which can lead to more breakouts. Using a dermatologist recommended acne treatment will be better for skin balance in the long run. 7. When you pluck out a gray hair, 10 more grow in its place. Since each hair follicle can only produce one hair at a time, it is impossible for 10 gray hairs to grow for each hair you pluck out. What can happen, however, is that damage to the hair follicle from tearing out the hair can make the gray hair that grows back stick out in a more noticeable way. 8. Drinking enough water hydrates your skin. According to New York dermatologist Paul Jarrod Frank, it's oil that makes your skin hydrated, not water, no matter how much you drink. You don't want to get dehydrated, certainly, but your skin can still be dry no matter how much water you drink. 9. Your hair adjusts to your shampoo and then doesn't perform as well. The likely culprit of hair that stops looking great is a buildup of conditioners and styling products, not your hair somehow adjusting to the shampoo. If you use a clarifying shampoo once a week to get rid of the buildup, your hair should go back to its former luster. Shop Biconi hair products for great alternatives to chemically laden shampoos that can harm your hair.